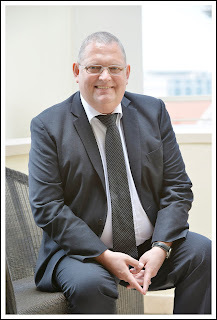 Knud Bundgaard, Hilton Worldwide Director of culinary, MEA, with specific responsibility for F&B (food & beverage) operations for Africa and Indian Ocean. Knud, who also served as area executive chef for Hilton Worldwide MEA, has enjoyed an extensive 28 years in the hotel catering industry in a career which has taken him to over 10 different countries including Russia, New Zealand, China, Denmark, Norway and Jordan. He joined Hilton Worldwide in 1999 and was Executive Chef at Hilton Athens when it was the official HQ of the IOC during the 2004 Olympics. The following year he served as Kitchen Director as part of the pre-opening team at Hilton Sydney, one of the company’s flagship hotels, where he was responsible for developing and launching the property’s F&B portfolio. In 2006, he took a more senior role of area executive chef for UK & Ireland.